If you scan the Internet, you’ll find a multitude of articles about retirement: how to invest, where to live, what to do, etc. These are all helpful and interesting topics, but what about spending? We’ve talked about the specifics of how to save for retirement, but what about the ways to improve the quality of your pre-retirement budget? Stretch your retirement dollars further by reducing the following debts before your last day at work. Limiting your financial burdens will also limit your liability and protect you from credit repair vulnerabilities. Sell your current home in favor of purchasing a more affordable property, allowing you to cash in on equity and eliminate the need for a mortgage. Ask yourself if you’d be willing to take a part-time job during retirement. While certain insurance programs limit the number of hours retirees can work while receiving benefits, this option may allow you to keep your home without losing money. Rent a home. Many retirees living in major cities enjoy the option of renting, allowing them to avoid paying property taxes and keeping up with property maintenance. Look for an affordable, rent-controlled house to help sustain your retirement fund. When used recklessly, credit cards are the catalyst of financial instability, a force that should never impact your retirement years. Credit cards often boast high, variable interest rates, adding to the principal amount and making it more difficult to become debt-free. A high credit card balance is a common cause of credit repair, something you should work hard to avoid before retirement. Get serious about eliminating credit card debt. Why allow financial stress to ruin your retirement? Speaking of financial stress, it’s time to have a serious conversation with kids and grandkids who may take advantage of your generosity. Does your granddaughter ask for money a little too often? If you currently have relatives living with you, how will their presence impact your retirement savings? Do they pay rent, or do they expect you to pick up the tab? The average financial planner encourages retirement savings before college savings, and the same is true in these situations. While it may be difficult, it’s time to put yourself first. Protect your finances from debt and credit repair by considering these issues now. This is a broad category (after all, maybe your kids are money-suckers), but it’s worth some contemplation. Make a list of all the things that cost you too much money each month. Maybe your car payment is too high or you spend too much dining out or traveling to visit relatives. Once you’ve made your list, come up with a few solutions to help you save. In the examples listed above, you could trade in your car for a more affordable model, focus on cooking at home more often, and consider moving closer to your family to cut back on travel costs. 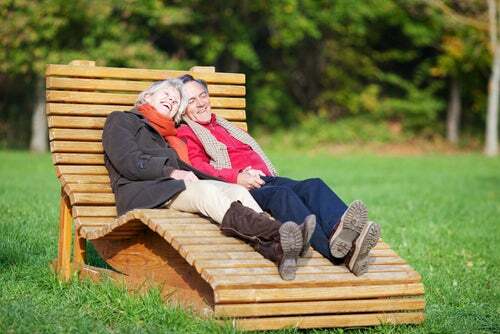 These considerations are commonplace in the world of retirement. Do yourself a favor by changing your lifestyle before retiring. An easy transition equals an easy avoidance of credit repair.